Born on February 26, 1932, in Kingsland, Arkansas, Johnny Cash joined the Air Force in 1950 and trained in Texas where he met his first wife. After his service and discharge, he formed a band and landed a record deal. By the early 1960s, he was a musical superstar, known for his innovative hit songs with gospel undertones, such as with hit songs like. In 1967, he married June Carter. He recorded his last track of his final album a week before his death in 2003. john, or J.R. as he was known to those close to him, spent the bulk of the next 15 years out in the fields, working alongside his parents and brothers and sisters. It wasn't always an easy life, Cash would later recall. At the age of 10 he was hauling water for a road gang and at 12 years old he moving large sacks of cotton. n July 1954, another Memphis musician, Elvis Presley, cut his first record, sparking a wave of not only Elvis-mania but an interest in the local producer, Sun Records owner Sam Phillips, who had issued the record. Later that same year Cash, Grant and Perkins made an unannounced visit to Sun to ask Phillips for an audition. The Sun Records owner gave in and Cash and the boys returned to Sun in late 1954. At the audition, Phillips liked their sound, but not their gospel-driven song choices, which he felt would have a limited market. 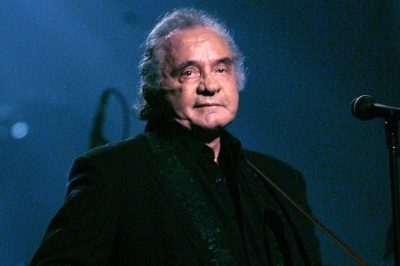 In 2002 Cash released American IV: The Man Comes Around, a mix of originals and covers including songs from Beatles to Trent Reznor of Nine Inch Nails. 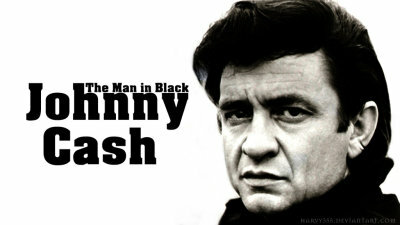 The album, recorded in a cabin on the singer's Nashville estate, was the fourth Cash-Rubin compilation. More significantly, it came five years after the singer had announced he'd been diagnosed with a rare nervous-system disorder called Shy-Drager Syndrome. Over the next year, Cash's health continued to decline. He rarely made public appearances. Then in May 2003, June Carter died. Cash, though, continued to work. With Rubin at his side, the singer sat down to record what would be known as American V: A Hundred Highways. Just week before his death on September 12, 2003, from complications associated with diabetes, Cash wrapped up his final track. "Once June passed, he had the will to live long enough to record, but that was pretty much all," Rubin recalled around the album's release on July 4, 2004. "A day after June passed, he said, 'I need to have something to do every day. Otherwise, there's no reason for me to be here.'" 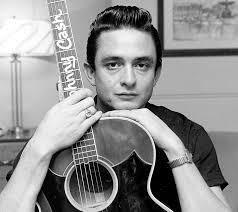 Not surprisingly, Cash's life and music continue to resonate. In 2005, the story of his love affair with June Cash was made into a feature film, Walk the Line, starring Joaquin Phoenix and Reese Witherspoon. 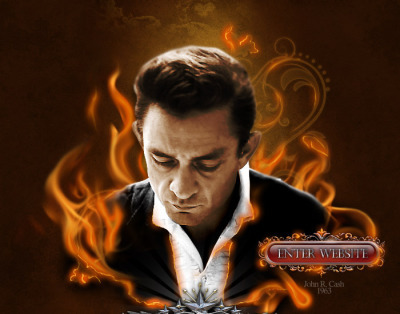 In 2006, a two-CD collection of unearthed songs from an obscure recording session Cash did in 1973 was released. And the following year the community of Starkville, Mississippi, paid honor to the performer and his arrest there in 1965 for picking flowers with the Johnny Cash Flower Pickin' Festival. Cash was also issued an official pardon.